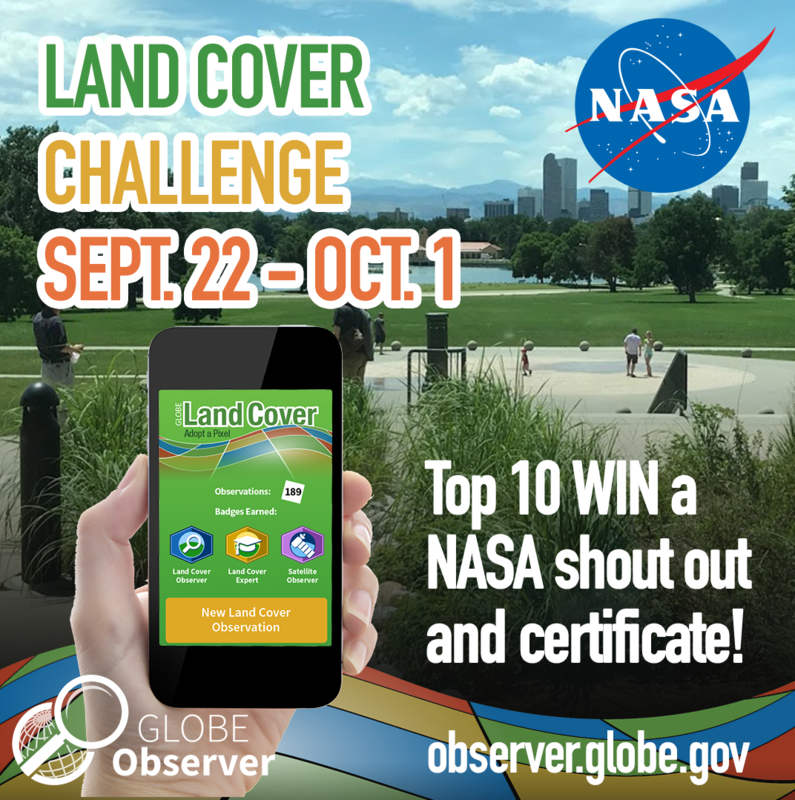 GO Land Cover is kicking off with a data challenge to map as much land as possible between 22 Sept., Public Lands Day, and 1 Oct., NASA’s 60th anniversary. Download the app and start using the Land Cover feature within the app. The app will walk you through on how to make an observation. The 10 citizen scientists who map the most land in this period will be recognized on social media and will receive a certificate of appreciation from GLOBE Observer.